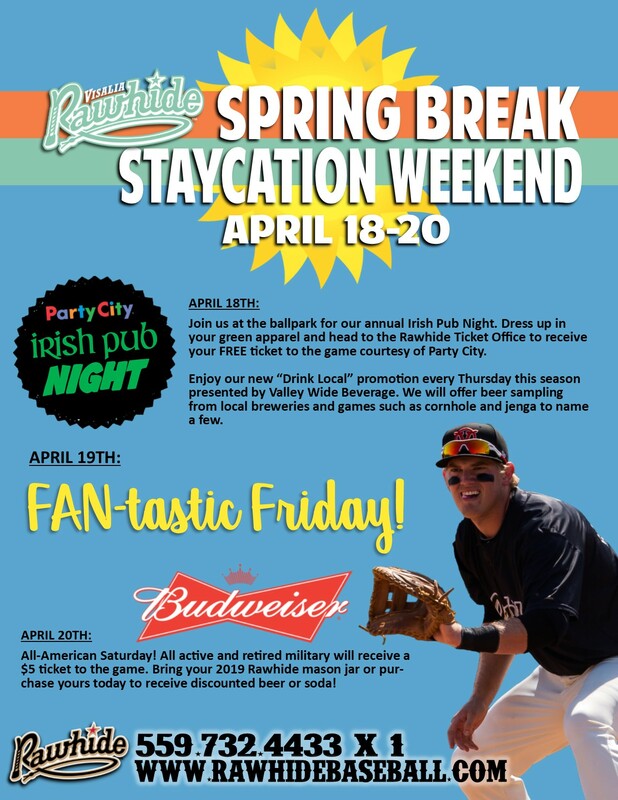 April 18-20 is our Spring Break Staycation Weekend! Click the photo above for more information. Click here for tickets! 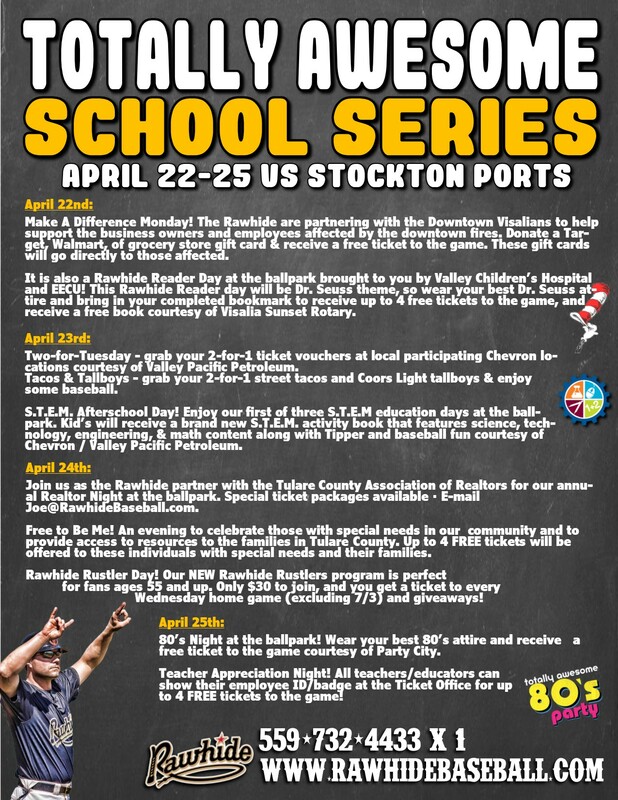 April 22-25 is our Totally Awesome School Series verus the Stockton Ports. For information about promotions during the series, click the image above. For tickets click here! Come celebrate Cinco de Mayo with us! 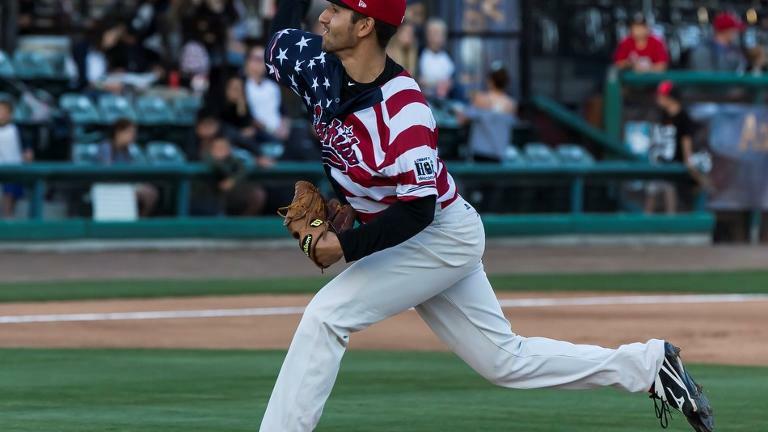 The Rawhide will rebrand to their Latin-alter ego the Toros de Visalia. 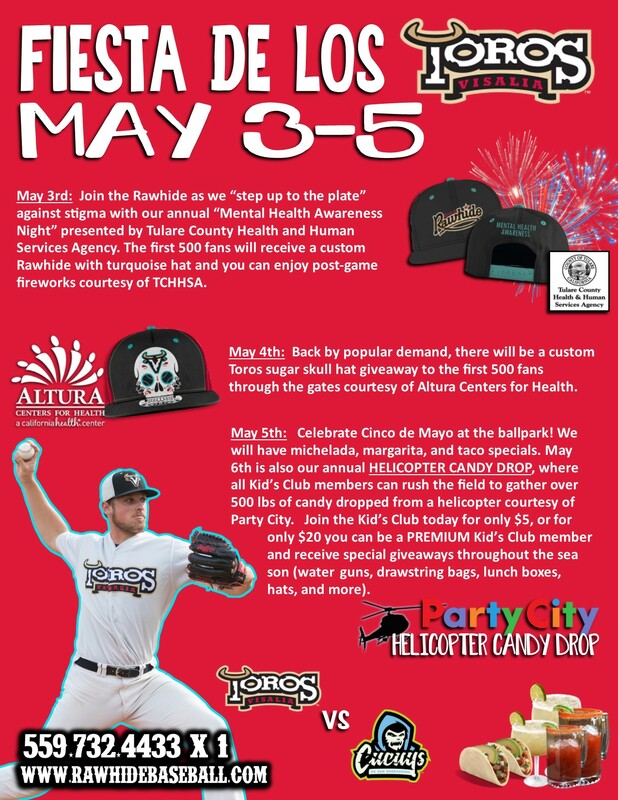 Click the image above to see what's going on Cinco de Mayo Weekend. Ladies Week is back! 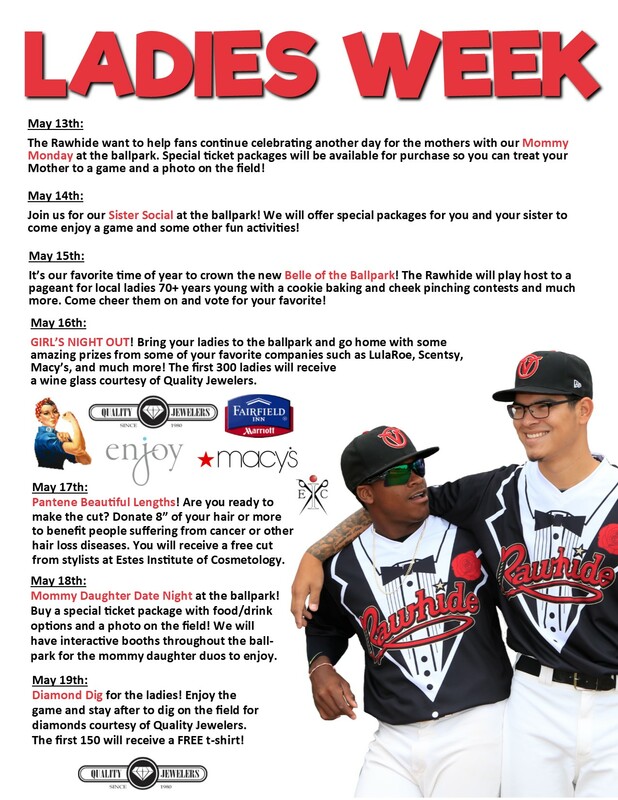 Click the image above to see all the promotions and events we have made specifically for the ladies! Buy tickets for MicheFest here! Planning on attending? Find out everything you need to know here! Interested in being a vendor at Miche Fest? Click here to apply.